Lake Oswego has 24 distinct neighborhoods, each with its own characteristics and features. Today I am going to focus on Uplands. 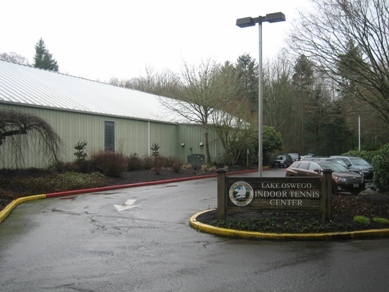 Uplands is centrally located and very close to Lake Oswego High School and Lake Oswego Junior High School. It is South of Country Club Rd, North of Iron Mt. Blvd., West of Lake Oswego Country Club, and East of Boones Ferry Rd. I think its most distinguishing characteristic is that it is quiet and wooded. There really are no busy streets in this area with traffic consisting primarily of people who live in the area. There are two nature parks: Springbrook and the Iron Mt. Natural area. There is also a little park, probably the smallest in the city: Prestwick Park. 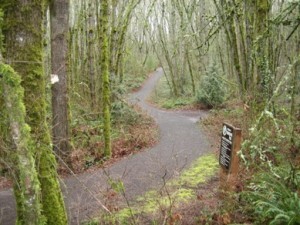 Springbrook Park has a wonderful trail system that is enjoyed regularly by locals. It is 52 acres and full of Big Leaf Maples. The housing is diverse. It is an established area with many homes dating from the 1950’s and 1960’s. The location and the large lots really appeal to buyers and over the years many of the small homes have been enlarged or torn down and had new homes built. This creates a mixture of old and new, large and small. There are currently 11 homes for sale in the neighborhood. The least expensive is 2039 square feet, built in 1995 on a very small lot (unusual for the area). It has 3 bedrooms, 2.5 baths, a 2-car garage, and is priced at $339,000. The most expensive home for sale was built in 2009. It is on nearly half an acre and has 6490 square feet with 5 bedrooms, 4 full baths and 2 half baths. There is a 3-car garage and it is priced at $1,895,000. Also located in Uplands is the City’s Indoor Tennis Center. With our cold and wet winters, this is a real feature. There are 4 indoor courts that can each be rented for $16 an hour. The center has a wide variety of competitive and social events that include a City Tennis League, USTA League, group mixers, Tiny Tot Tennis, and more. This neighborhood, while it feels like it is isolated, is actually very close to pretty much any part of town you want to go to. From Uplands you are just minutes to both downtown Lake Oswego and to Lake Grove. It has quick access to Hwy 217 and I 5. It also is pretty close to the lake and many of the homes have boating easements. 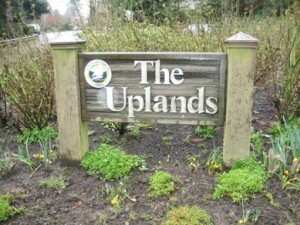 So when looking for a home in Lake Oswego, be sure to consider the Uplands neighborhood. And please let Linda or I know if you would like more information.